FRONT ROW IS SOLD OUT for TONIGHT, Friday January 18th, 2019: FIRE UP! FRONT ROW IS SOLD OUT but we still have a limited amount of GENERAL ADMISSION tickets left! Hurry before this event becomes completely SOLD OUT. Appearing are Joey Ryan, Ethan Page, Beer City Bruiser, Michael Wolf, Ryan Davidson, Tyler Bateman, Diamond Duke, Ricky Starks, Latrell Upton, Kody Lane, Ethan Price, Zac Taylor, Psycho Sawyer, Joe Cuedo, and more! Here are just 3 matches we’ve announced out of several matches we will leave as a surprise to you at this event! Don’t miss these matches we’ve announced and PLENTY of other matches we are leaving as a SURPISE. 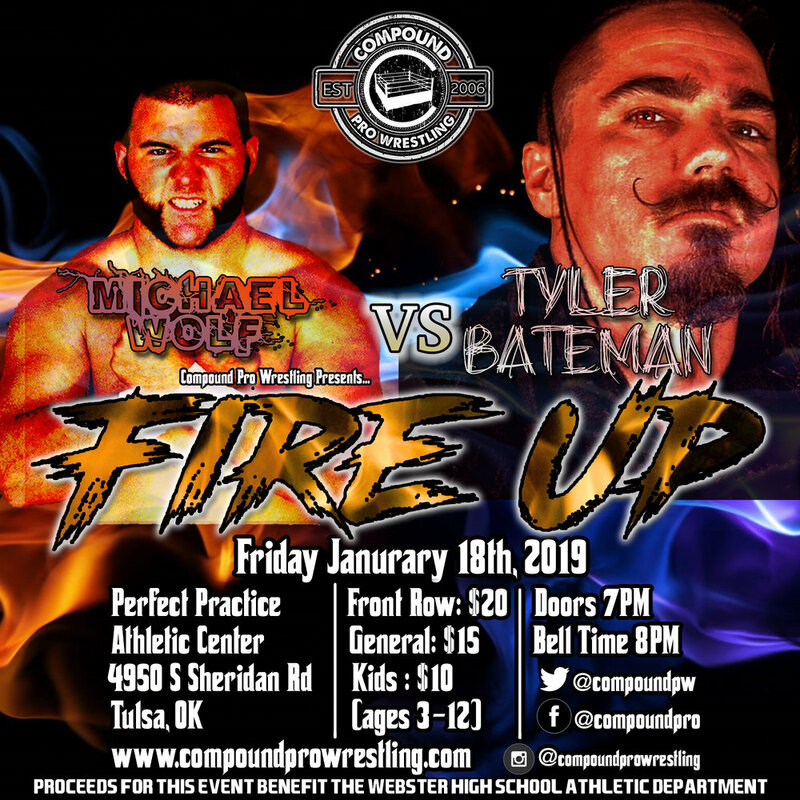 This event will be yet another HISTORIC event brought to you by Compound Pro Wrestling! Pre Order your GENERAL ADMISSION tickets here!